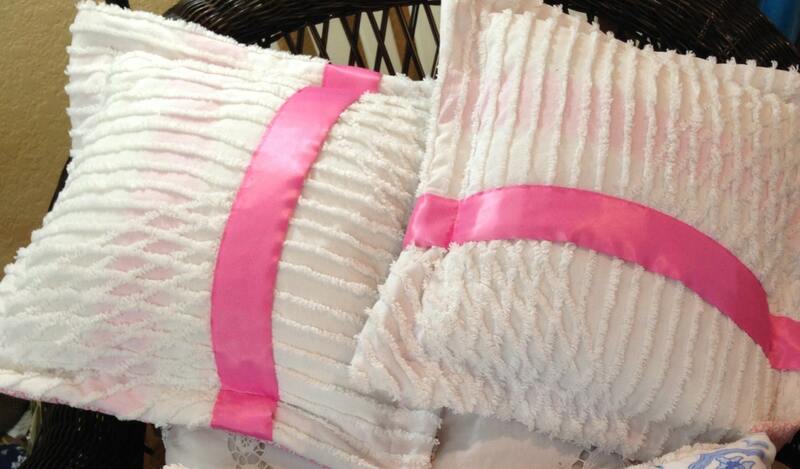 A small salvaged piece of a Vintage quilt and a piece of soft white chenille along with silky pink satin envelope closure makes these pillow covers unique and special. 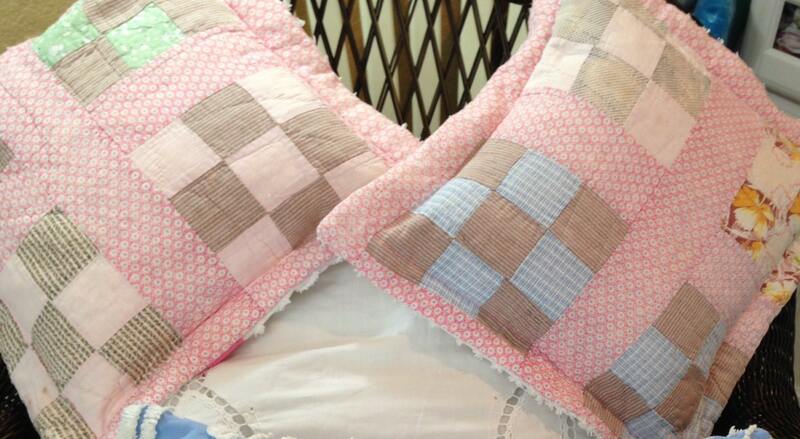 The pair would be perfect on your bed or in a cozy reading nook. 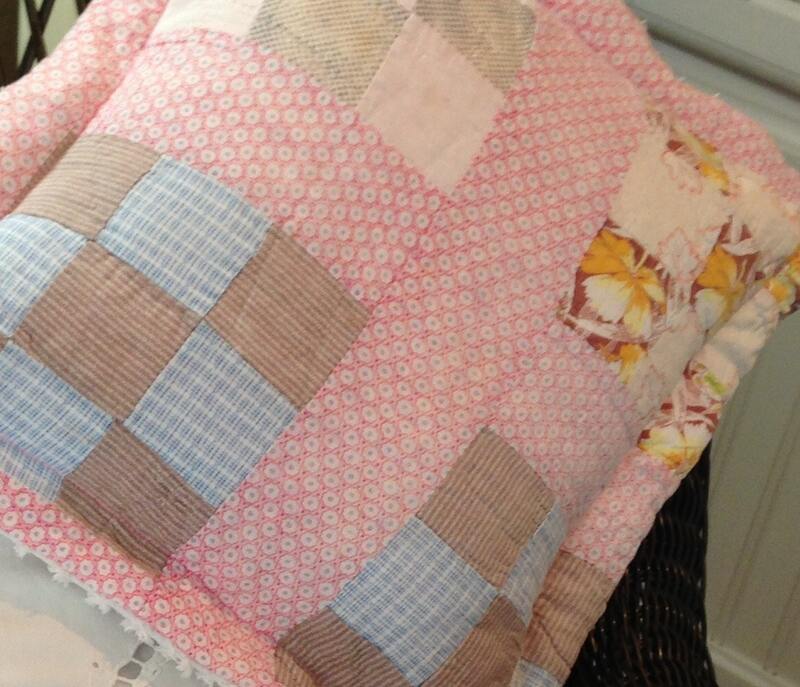 The envelope back makes it easy to insert your own 17" square pillow form. All seams are serged for durability. 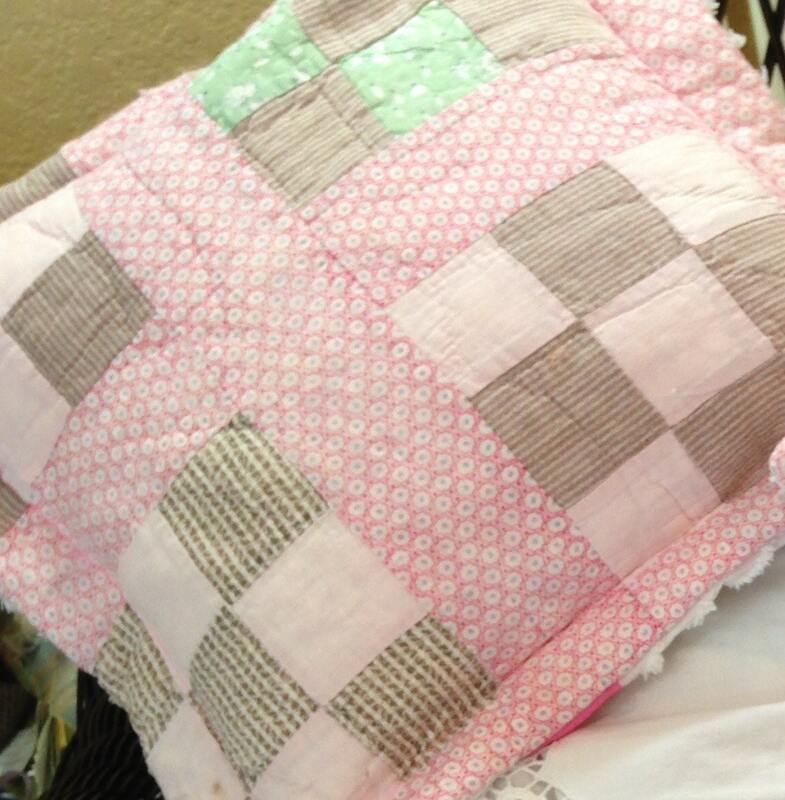 I make these beautiful pillow covers from salvage vintage quilts, chenille and linens and give them a new life for your home.